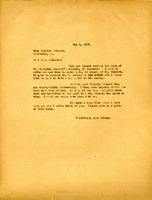 This letter was written while Miss Berry was away from the school. 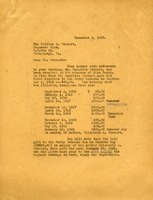 It is a reply to William Stewart's letter and details the donations by his brother Mr Hamilton Stewart. 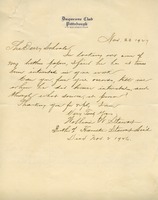 William W. Stewart writes to The Berry Schools, stating that his deceased brother, Hamilton Stewart, expressed interest in the work of the Schools and Martha Berry. He wishes to inquire when and how his brother became interested in the Schools.